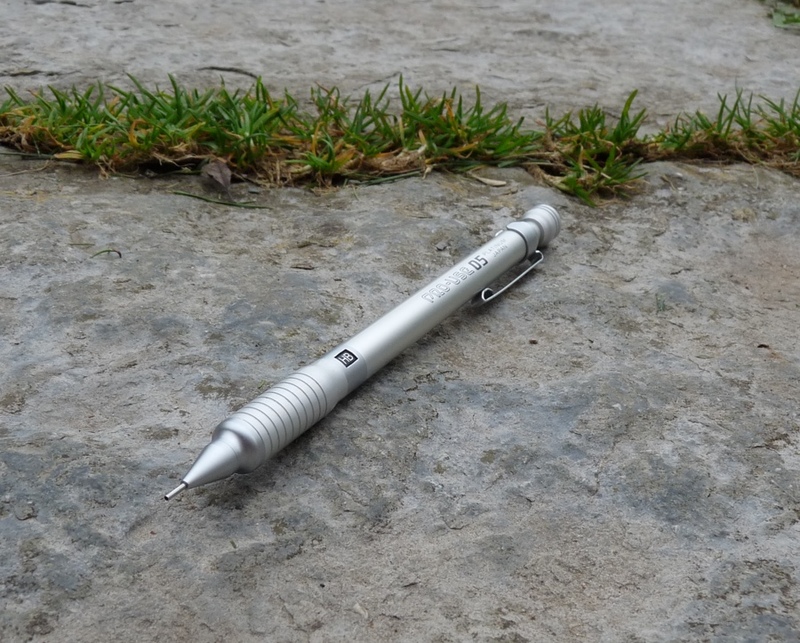 Platinum Pro-Use I Mechanical Pencil Review – Pens! Paper! Pencils! 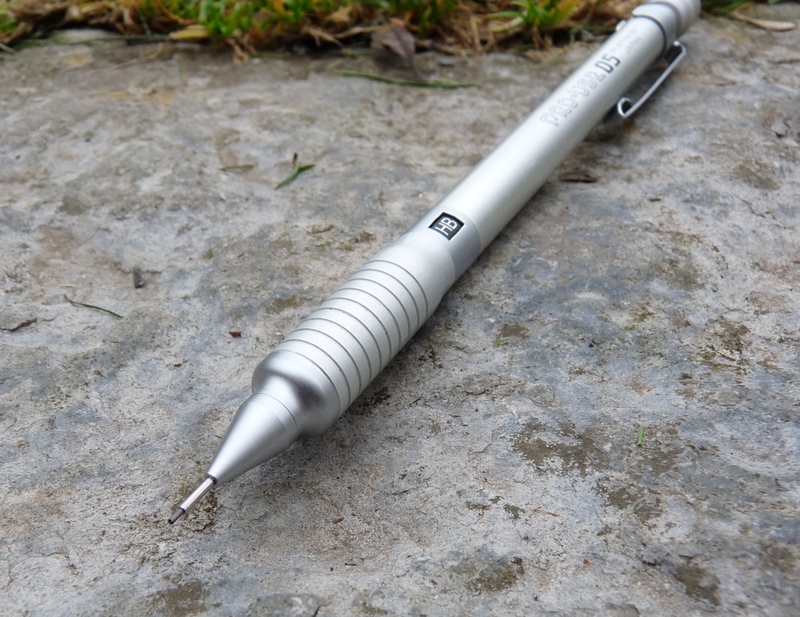 The Platinum Pro-Use I is a metal barrelled mechanical pencil available in 0.3mm, 0.5mm and 0.7mm lead sizes. It costs about £11 in the UK and $16.50 in the USA. Note that there is a Pro-Use II that has a much chunkier design. That’s model MSD-1500, this one is MSD-1000. 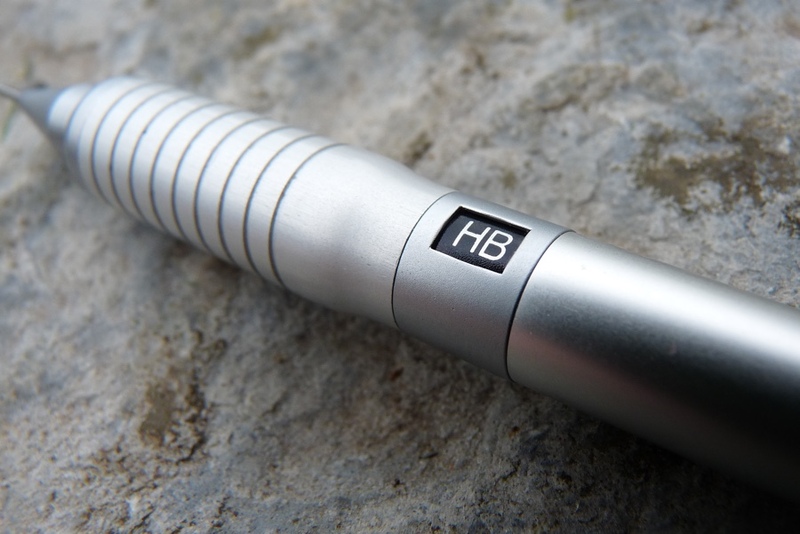 The barrel, grip, clip and push-button are all made from aluminium, making this a very light yet robust pencil. The clip is removable and reasonably strong and springy. The tube will hold a good quantity of spare leads. There’s the usual fairly tiny eraser under the cap. It does erase reasonably well but won’t last very long if you make much use of it. The grip is fairly gentle, which I like. It’s grippy enough without rubbing and becoming uncomfortable with extended use. There’s a lead indicator down at the grip end which goes from 2B to 3H, including F. There’s also a ‘blank’ position, which isn’t all that common but is a really good idea. It would bother me intensely if I had to have the indicator set at a grade that didn’t match the lead I was using so this gives a way out of that terrible predicament. The lead advances with a satisfying click and is held very securely at the tip. However the push-button, which shows the lead size nice and clearly, is very wobbly. Almost every mechanical pencil suffers from this but I think it’s worse than usual on this Platinum. I can hear it rattling as I use the pencil and it bothers me. The overall style is nice and sleek and purposeful. The branding on the side is fairly subdued though not the classiest. The Platinum Pro-Use is a good mechanical pencil. It’s well thought through, being well balanced, comfortable to hold and precise in use. It would make it into my Top 5 if it wasn’t for the push-button rattling around so much. When you can get the Pentel Graph 1000 or Staedtler 925 25 for just a little more, or the Uni Kuru Toga for less, it’s these little things that make the difference. 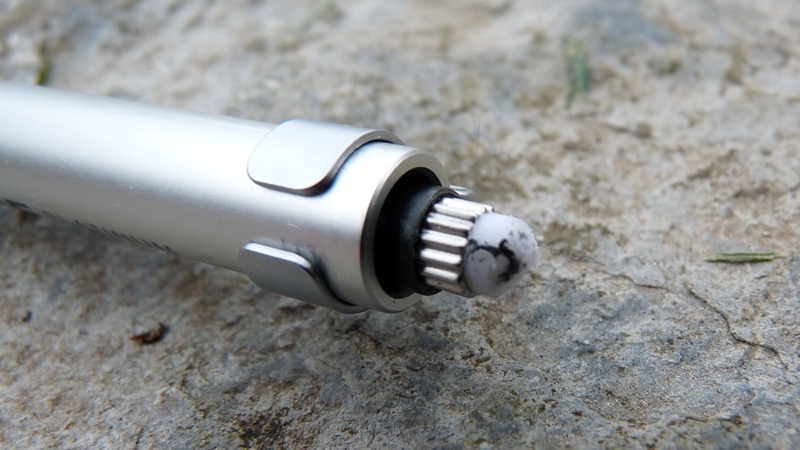 You can find some more reviews of Platinum Pro-Use Pencil on Pennaquod. I had one of these – I say had; it took a nose dive onto a tiled floor and crippled the lead sleeve! 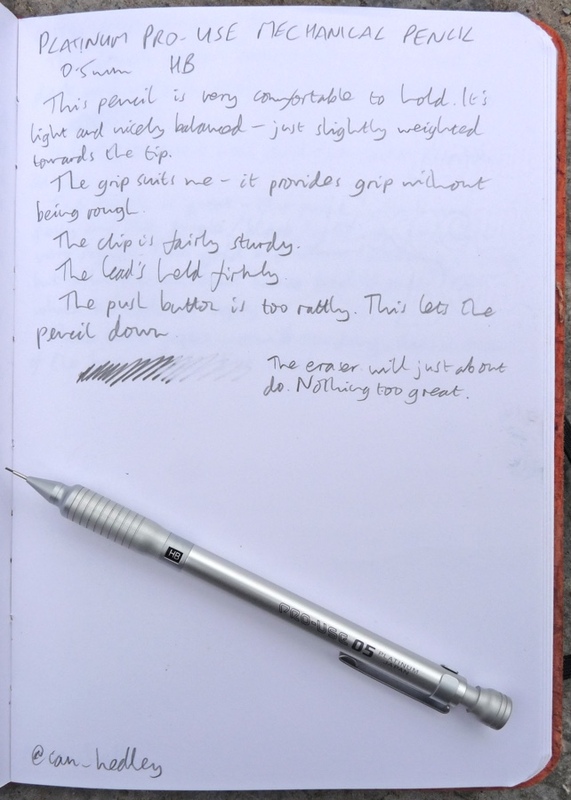 I was horrified – it was by far my favourite mech pencil… I loved the ‘well engineered’ feeling of it, and as you point out the lead grade indicator is fantastic. I also noticed the rattle – it seemed to be the lead tube flexing inside the barrel, so I cut a small rectangle of paper and rolled it to fit around the lead tube; stuff it down the barrel, replace the push button, and no more rattle!